How many times have you found yourself searching for something on your desktop computer just before leaving, then pulling out your phone and having to search for it again from the road? 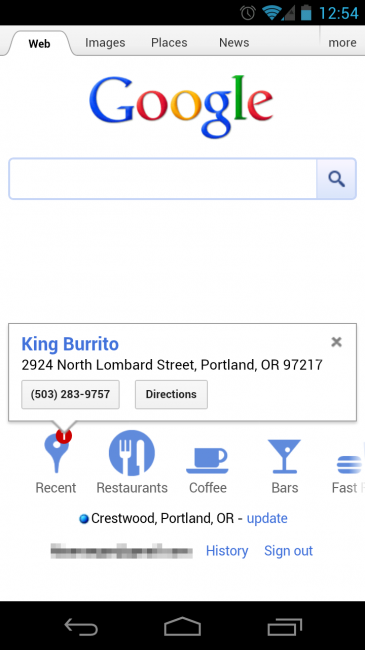 Enough times that you would love it if Google decided to sync those same searches across platforms? You are in luck starting today. A new “Recent” tab has been added to the Google mobile page, pulling from your most recent desktop searches and offering them up for you on your phone. All you have to do is sign in on Google in both desktop browsers and on your phone and the searches should start syncing automatically. 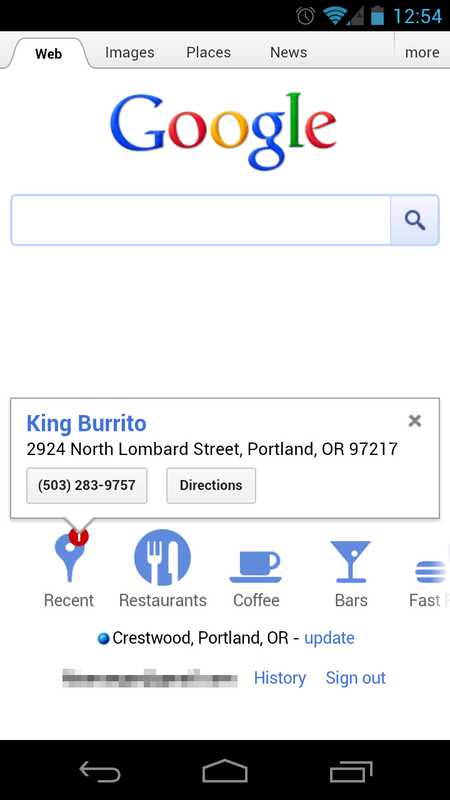 As you can see from my picture above, it gave me the following suggestion after searching for “best burrito portland” on my desktop.